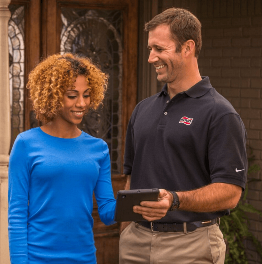 At Ray Brown we take pride in providing exceptional customer service, and you can always trust Ray Brown Air Conditioning & Heating to give you helpful hints and dependable honest service. We service, repair and sell all makes and models of heating and a/c units, and are proud to install quality Ruud air conditioning products. In fact, Ray Brown Air Conditioning & Heating has achieved the distinction as one of the Ruud Reliable Top Contractors. These are contractors who specialize in installing and servicing award-winning Ruud heating and air conditioning equipment for your residential or light commercial use. Ray Brown Air Conditioning & Heating…three generations of our family serving Brevard Families since 1963.